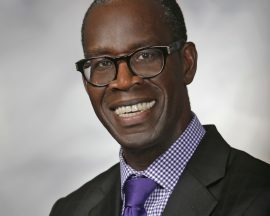 Dr. Opiyo Oloya, MED, PhD, LLD (honoris causa) — Dr. Opiyo Oloya was born in Pamin-yai village, west of Gulu town in northern Uganda. He was raised in a large extended Christian family. His father Alipayo Oloya was a head teacher in Uganda before turning to farming. For the first three years of early education, Opiyo attended Gulu Primary School. Along with his siblings, he was transferred to Pamin-yai Catholic Primary School.